What do you look for in a theme park? Theme and amusement parks are popular vacation destinations, and the best amusement parks are ones that keep guests coming back year after year. But what is the best for one visitor is not necessarily suitable for another, and it is important for prospective guests to carefully choose the right park for their theme park getaway to ensure they have the best time possible. Thrills: Different innovative roller coasters, a unique selection of thrill rides, and short lines add up to a park full of the very best thrills. Record breaking rides and classic thrills are also important. Family Attractions: A park with something fun for all ages and a wide variety of attractions for the youngest guests will be one of the best choices for families to visit. Children's menus and friendly entertainment are also critical for family fun. Entertainment: Light shows, groomed flower beds, music revues, animal stunts, educational shows, and interactive entertainment can turn an otherwise ordinary park into the best choice for an entertaining getaway. Shows should be available for all ages and be performed at multiple times for all guests to enjoy. Food: While many park guests enjoy classic amusement park food such as corn dogs, cotton candy, and popcorn, more unusual selections such as ethnic treats, homemade goodies, and specialty diet (vegetarian, diabetic, etc.) choices can make an amusement park the best choice for exquisite dining. Theme: While some guests just want to go on rides, others are interested in an entire immersive theme experience. Employee costumes, sign fonts, music, detailed queues, unique souvenirs, and other small details can add up to a very big theme. 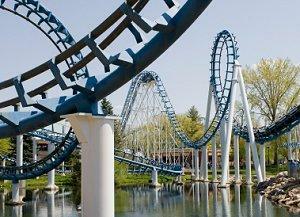 Value: For some guests, the best amusement parks are the ones that offer the best value. Cheap amusement park tickets, available coupons and discounts, free parking, and special deals can increase a park's value and make it the best choice for budget-minded visitors. Cedar Point Amusement Park: With 17 roller coasters and more than 60 rides, including children's areas, this northern Ohio park is one of the best for both thrills and families. Great discounts and passes also make this park a good value for many guests. Disney World and Disneyland Theme Park: The name "Disney" is synonymous with "excellent theme" and guests to either the Florida or California parks will find themselves in the best possible fantasyland for a theme park, particularly for families. Epcot Center: Part of the Walt Disney World complex in Florida, Epcot Center is a stunning park for international themes and unique dining experiences. Six Flags Magic Mountain: This park in southern California boasts more than a dozen roller coasters, including some of the most innovative rides in the world. It is no surprise, then, that it is one of the best parks for thrills. The best parks are fun for everyone. Sea World Orlando Florida: With exciting rides, educational shows, and stunning animal exhibits, this park is perfect for anyone interested in beautiful theme parks. Kalahari Water Park: This indoor water park offers an immersive African savannah theme that turns it into a stunning oasis and one of the best parks in the nation for theming. 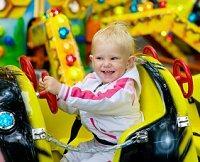 The wide range of aquatastic attractions also ensures it is perfect for families. American Adventures: This theme park near Atlanta is specially designed for younger visitors, with a superb selection of family and children's rides as well as kid-oriented shows and dining options. Hershey Amusement Park: This Pennsylvania park is a sweet option for families with its delicious chocolate theme and wide range of attractions. Inexpensive prices also make the park a superior value. Holiday World: This celebration themed park in Indiana is widely recognized for its fun and creative theme, and its low prices and free sodas make it a stellar value. Kennywood: With a wide range of nostalgic amusement rides along with modern scream machines, this Pennsylvania park is perfect for anyone seeking thrills. The inexpensive tickets and free entertainment also make it a great value. Islands of Adventure: Located in Orlando, this park is a world leader for exquisitely detailed themes. From superhero and comic book rides to incredible backdrops for each unique section of the park, guests can easily immerse themselves in a fantastic experience. With a Dr. Seuss section and a Harry Potter section as well, this park is perfect for families. What makes one amusement park the best choice for one guest may not be right for the next person in line. To find the best amusement parks for your vacation plans, consider these characteristics of your travel needs. Variety: Does the park offer rides and attractions for everyone in your group to enjoy? Ages: Does the park offer something for older and younger guests to enjoy without feeling left out of the main attractions? Cost: Are the ticket prices suitable for your budget? What deals and coupons are available? Time: Is the park too big or too small for your vacation plans? Larger parks may take several days to enjoy, while small local parks may seem boring after just one afternoon. Location: Is the park convenient for your vacation? The added stress and cost of travel can make an otherwise perfect park less suitable for your getaway. The best amusement parks are ones that deliver a great time to everyone, no matter what they're looking for. While one single park is not right for every visitor, with careful planning it is possible to find the perfect park for your getaway.